CodeMatics is an emerging IT solutions and services provider company that provides innovative IT enabled solutions and services to meet the demands of valued clients and customers. CodeMatics primary goal is to provide software solutions that assure the needs of even the most demanding customers. We focus on people and their rising expectations in this dynamically changing world. We believe that by developing advanced IT solutions and working together with our clients, we can significantly improve the quality of life for many around the globe. We take advantage of our expertise and experience to create technologies that can really shape the future. We take full responsibility for the projects we implement. This is how the reliability and reputation of our brands have been built over the years. Showing an open and professional attitude, we are a trustworthy partner for all companies and institutions that are looking for a skilled provider of top quality software and IT services. Our mutual relations are always based on partnership, trust and understanding. Operating in various markets CodeMatics has gained extensive experience. CodeMatics helps industry customers establish best practices in business development and management. The industries CodeMatics serves include telecom, energy, finance, government, manufacturing, trade logistics, healthcare, education, transportation, mobile Internet, media, environment protection, etc..
We are dedicated to assist our customers to meet their goals and achieve their missions in a very smart way. Our core values are the principles that define our performance. Our values define how we interact with one another, our customers and our partners. They influence our intentional planning as well as our day-to-day decision making. Integrity – We commit to the highest ethical standards in all that we do. We conduct our activities honestly and ethically. We have earned our reputation as a highly ethical company through the integrity of our decisions and actions. Respect – We encourage diversity, background, experience, thoughts and ideas. We show respect for our colleagues and customers through professionalism in our words and actions. We benefit as a team from our diversity which contributes to innovative ideas and drives better results for our customers. Trust –We earn our customer’s trust by providing quality within the deadlines, motivated for continuous improvement. We maintain open and honest communications with our fellow employees, partners and customers. Teamwork – We are “one squad, one game,” working together to achieve our goals. We utilize resources, best practices and capabilities across our company to meet our customers’ requirements. We contribute to the effectiveness, expansion and productivity of our company through dedication to teamwork. Mission – We make business decisions that are primarily based on achieving customer mission success. We provide services and solutions that are relevant, innovative, timely and affordable—consistently exceeding customer expectations. We are proud to do significant work and help our customers achieve their goals. Our mission is to build the trustworthy and profitable global IT Company providing our customers with high quality software services. We enjoy a strong financial position and are working continuously to carry out the most complex and demanding projects. By investing substantial funds in research and development, we will continue to improve and upgrade all of our IT services. CodeMatics is a top growing IT Company that offers innovative IT enabled solutions and services to meet the demands of valued clients. 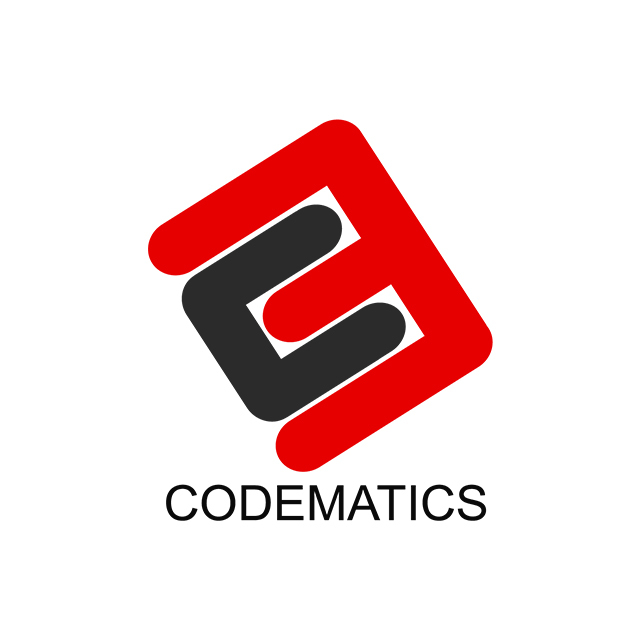 CodeMatics is committed in becoming a renowned company respected by employees, shareholders, customers, and society by providing innovative technology solutions. Strategic Partner of Google in South Asia region. Joint Venture with Canadian IT Company “Tastic Marketing”.